Easy Lawn Sprinklers designs and installs commercial and residential lawn sprinkler systems. In our designs, care is taken to match the head and nozzle patterns to evenly apply water to your turf without waste. A multi-programmable digital controller provides carefree watering even while you are on vacation and will turn your system off when it rains. Smart WIFI technology can provide control from your mobile devices. 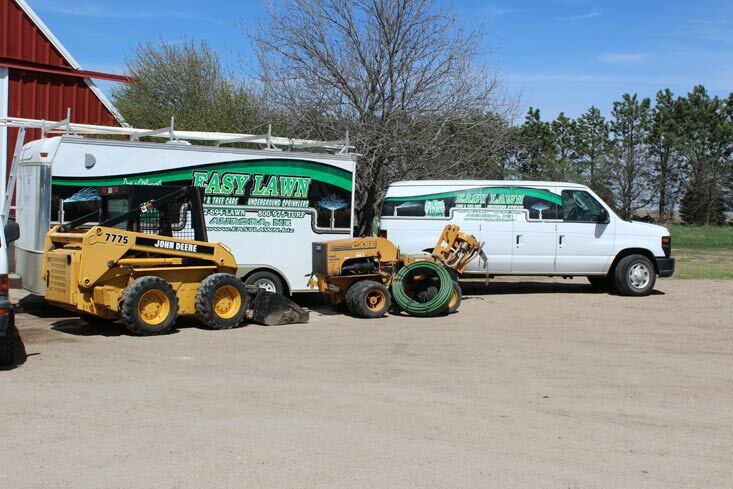 Easy Lawn Sprinklers has trained staff, with a Nebraska Grade 6 Water Operators license to certify, test, repair and recertify your turf irrigation backflow preventer. Many city codes now require these devices to protect your drinking water and need to be inspected on a scheduled basis. Easy Lawn Sprinklers carries a large inventory of parts to service your sprinkler system. We have sprinkler systems installed years ago that are functioning as well now as they did when they were installed, with very little spent on maintenance.